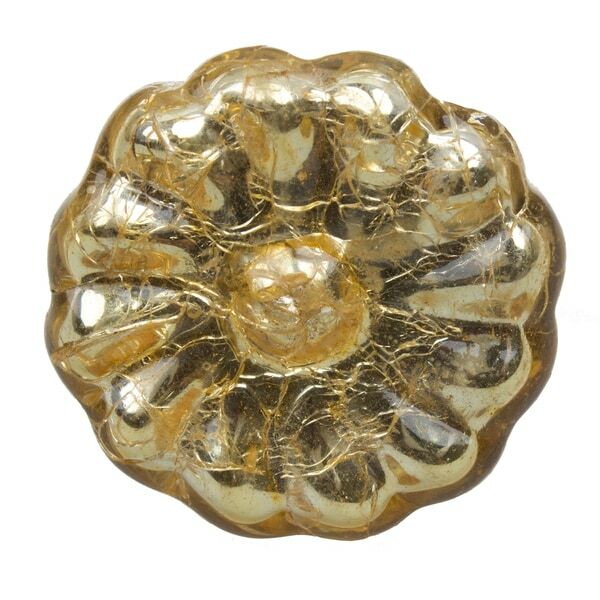 These stunning, handcrafted mercury glass cabinet knobs will add a vintage look to your home decor. 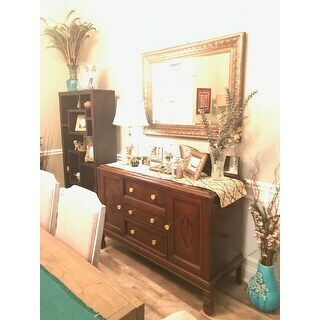 The versatile design complements your cabinets and incorporates a unique touch to outdated furniture. The gold coloring is easily paired with many wood finish types. Each knob is individually bagged to prevent damage to the finish and includes all the hardware necessary for quick and easy installation. Love them. Haven't had a chance to install them yet. They are larger than expected but they will add a touch of glam to my bedroom as the lighting and sliding mirrored doors have the old gold finish. I ordered several knobs and I got double the order on these and none of another type and half an order of another......hmmm, customer service was very helpful and all is being handled. I liked the knobs that were sent, okay, but they were NOT what I had ordered. The knobs I had seen pictured had flecks of silver, bronzish-gold, and clear spots....the knobs I received were purely goldish colored. If that had been what I had ordered, they would have been fine. Look stunning on my kitchen cabinet. I love them. I am very satisfied with these cabinet knobs and they were fairly priced. I would recommend them to others. They look just like the online picture. The drawer pulls are absolutely beautiful and looks gorgeous on my dark cherry dresser. They’re just the right size and the gold hue is classy without looking too flashy. Really enrich my bathroom cabinet! Very classy look to my bathroom cabinet. Gives the room pop. Love these! They look great in my kitchen! Absolutely beautiful, unfortunately two were broken upon arrival, overstock was so great they sent a replacement immediately. It will give the bathroom a touch of elegance.